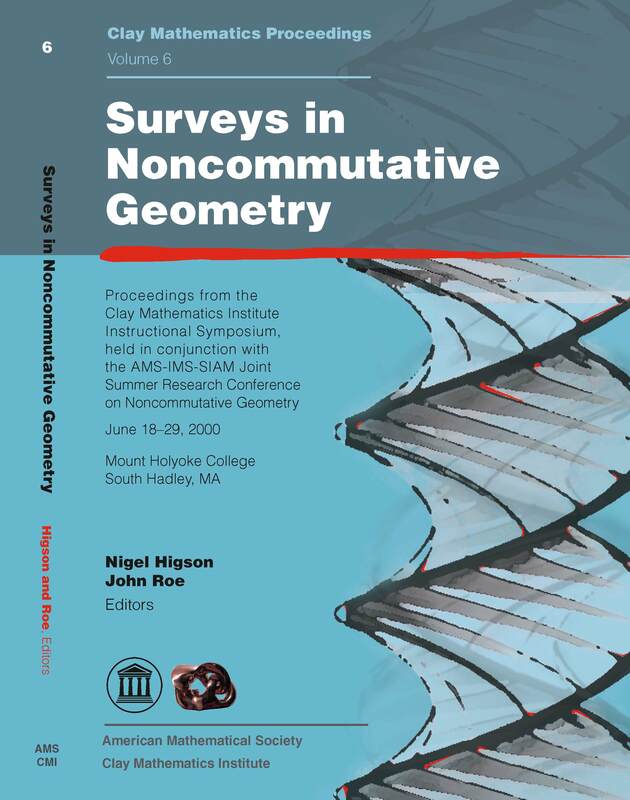 In June 2000, the Clay Mathematics Institute organized an Instructional Symposium on Noncommutative Geometry in conjunction with the AMS-IMS-SIAM Joint Summer Research Conference. These events were held at Mount Holyoke College in Massachusetts from June 18 to 29, 2000. The Instructional Symposium consisted of several series of expository lectures which were intended to introduce key topics in noncommutative geometry to mathematicians unfamiliar with the subject. Those expository lectures have been edited and are reproduced in this volume. The lectures of Rosenberg and Weinberger discuss various applications of noncommutative geometry to problems in "ordinary" geometry and topology. The lectures of Lagarias and Tretkoff discuss the Riemann hypothesis and the possible application of the methods of noncommutative geometry in number theory. Higson gives an account of the "residue index theorem" of Connes and Moscovici. Noncommutative geometry is to an unusual extent the creation of a single mathematician, Alain Connes. The present volume gives an extended introduction to several aspects of Connes' work in this fascinating area.